Are McDonald Containers products certified for international shipping? Yes, all of our shipping products carry the IWP seal (bug stamp) certifying that they are made from heat-treated wood and may be used for international shipping. Do you make special sized products? Yes, we would be pleased to quote you on whatever your needs are. Please call us and we will do our best. Some volume discounts are specified in the price list. If you have needs in excess of these amounts, please call us. 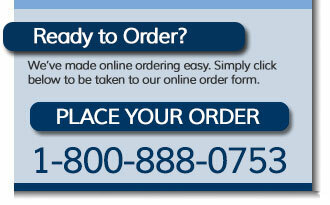 We guarantee that if you order is placed by noon EST, we will ship it the same day. If it is placed after noon, we will ship it ASAP. There are exceptions for non-stock special products and sizes. How will my products be packaged? All products shiped by truck will be shipped on a skid and stretch wrapped to make sure they arrive at your facility without damage. Most orders will ship via truck line. We will use the most economical truck line that will provide quality and quick service to you. Yes; however, we are also more than happy to mail an invoice for payment by check. May I come pick up products I purchase? Yes, we'd be happy to let you come pick up your products. You can save money since there will be no charge for shipping and handling.